Crafted from our lightweight denim fabric and designed with a two-way zipper, this denim style is the perfect layering piece. Details such as the turndown collar and push buttons on breast pockets add a modern touch to your outfit. 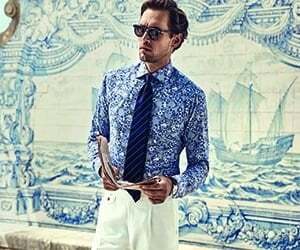 Match it with a classic button-down shirt and a grenadine tie for more dressed up styles or with a T-shirt for a relaxed and sporty outfit.